Before I share my takeaways, let me provide some background. The idea behind this new conference, our first since our former annual conference was held in 2011, was to unite our various constituents and programs under the banner of heritage tourism. 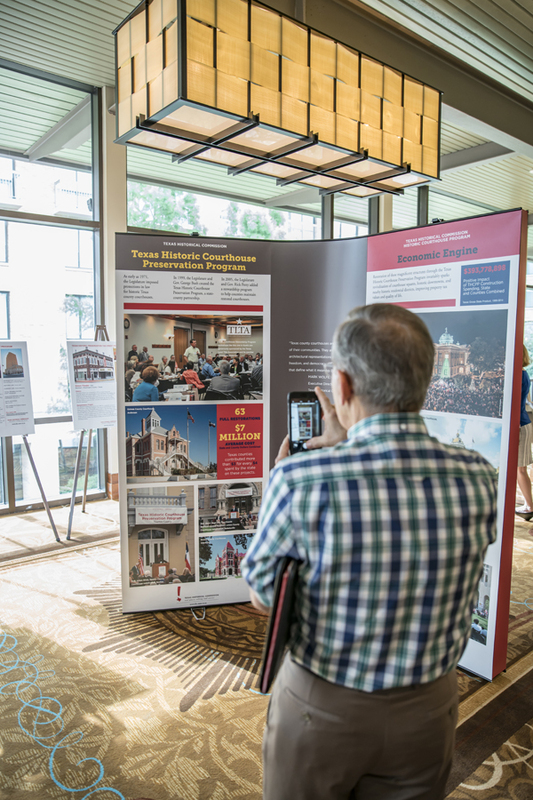 Travel is big business in Texas, and heritage tourism not only makes a significant economic impact, but is also something almost all THC programs enhance. According to a 2015 University of Texas at Austin and Rutgers University study, “more than 10.5 percent of all travel in Texas is heritage-related… [and] heritage travelers contribute more than their share to spending, $7.3 billion or about 12.5 percent of total visitor spending in Texas.” Furthermore, the study found that heritage tourism created more than 54,000 jobs in Texas in 2013. 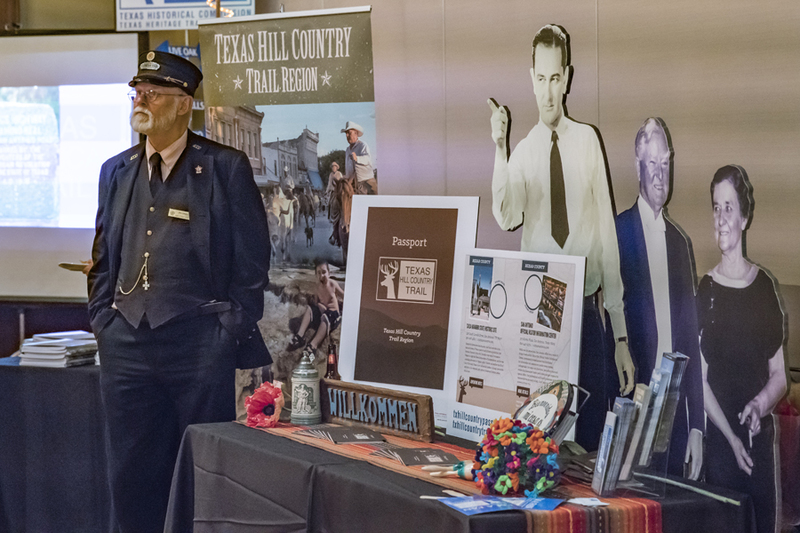 Some of the THC’s programs such as the Texas Heritage Trails Program, Texas Main Street Program, and our state historic sites are directly tied to tourism, featuring local, regional, and statewide travel professionals all across the Lone Star State. 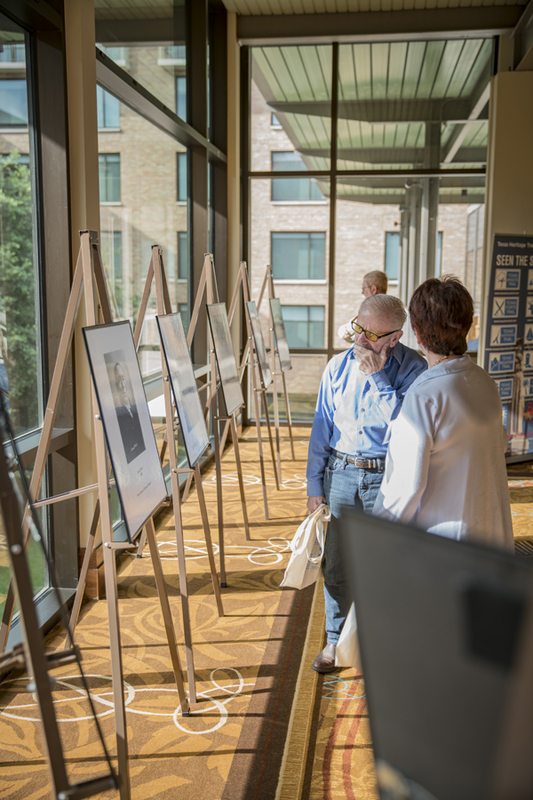 But there are many less-obvious travel connections from diverse initiatives such as our Historic Resources Survey Program, Certified Local Government Program, Marine Archeology Program, and Project Review Program, to name just a few. 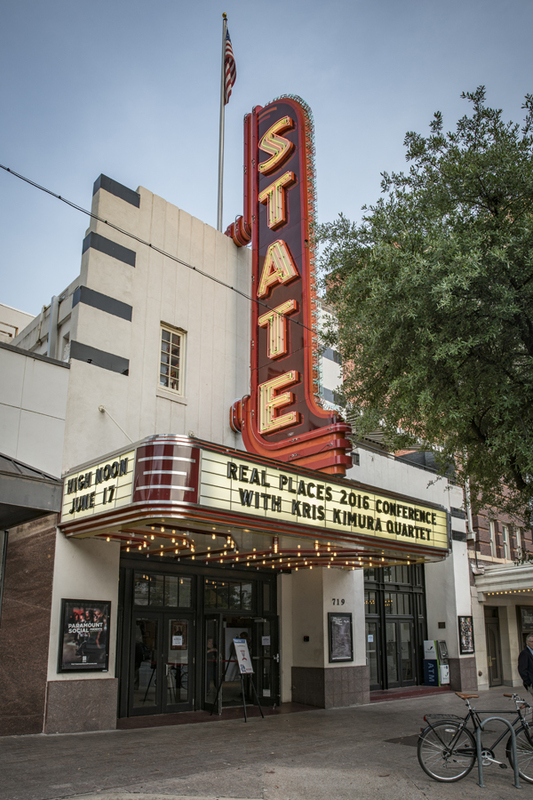 Each contributes to the preservation of places in Texas that are sought out by heritage tourists as authentic destinations. 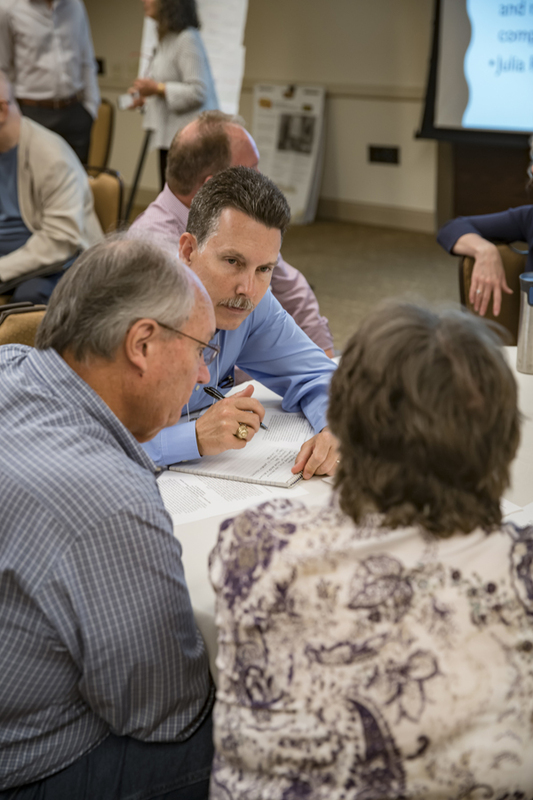 Since our former conference ended in 2011, we’ve continued to occasionally conduct workshops or trainings for County Historical Commissions (CHCs) and county officials and employees involved in courthouse stewardship. For this conference, we provided these constituents with the same kinds of educational content they’ve come to expect, but also attempted to educate them about the importance of heritage tourism and how their activities contribute to it. Based on the positive feedback we’ve received so far, it seems that goal was met. 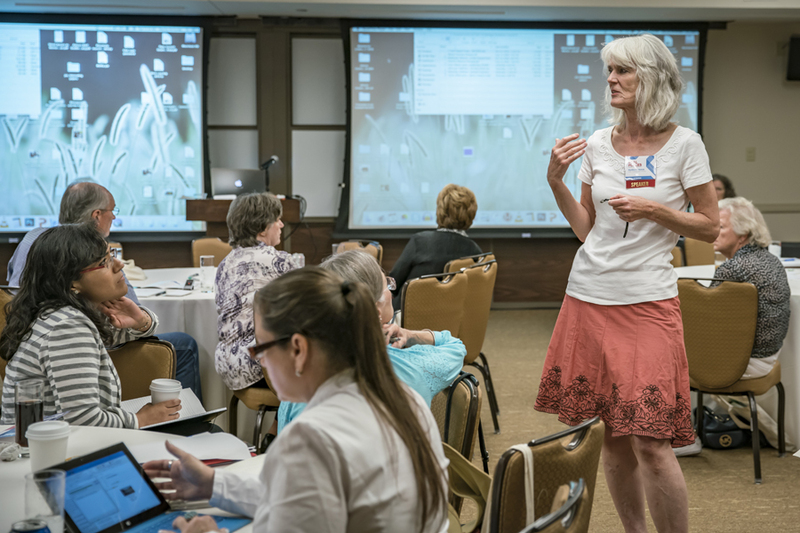 On June 13, the conference began at the University of Texas at Austin’s AT&T Executive Education and Conference Center with training sessions for CHCs. 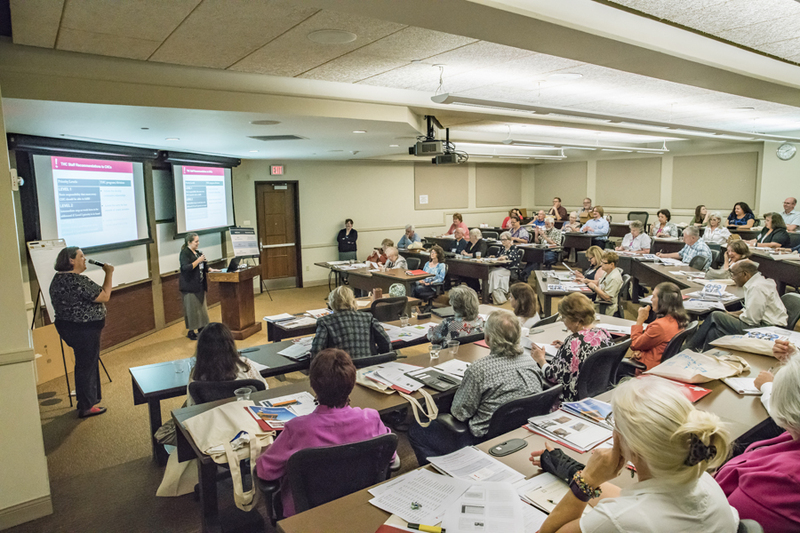 This was a special afternoon tract for CHC members that focused on various topics, including regulatory review, THC partnerships with the Texas Department of Transportation, architectural and archeology issues, cultural resources surveys, nominating properties to the National Register of Historic Places, and other topics. 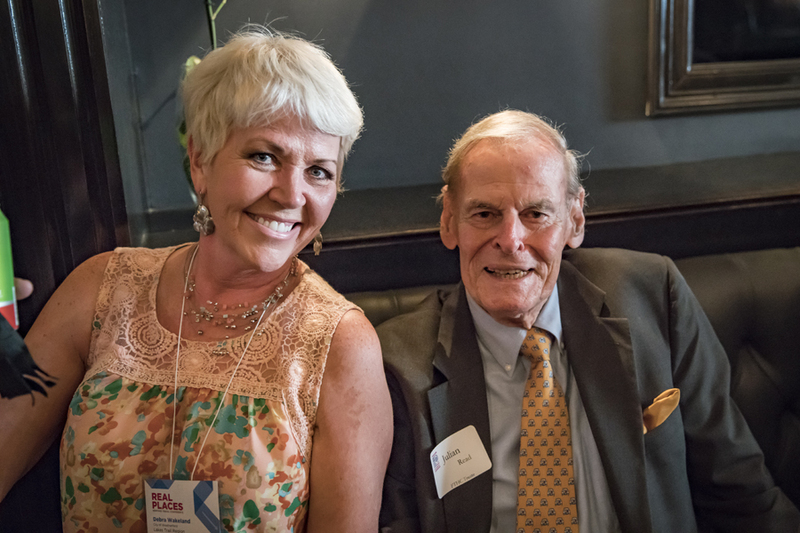 A kick-off reception that night took place at two venues in downtown Austin’s National Register-listed Congress Avenue Historic District. 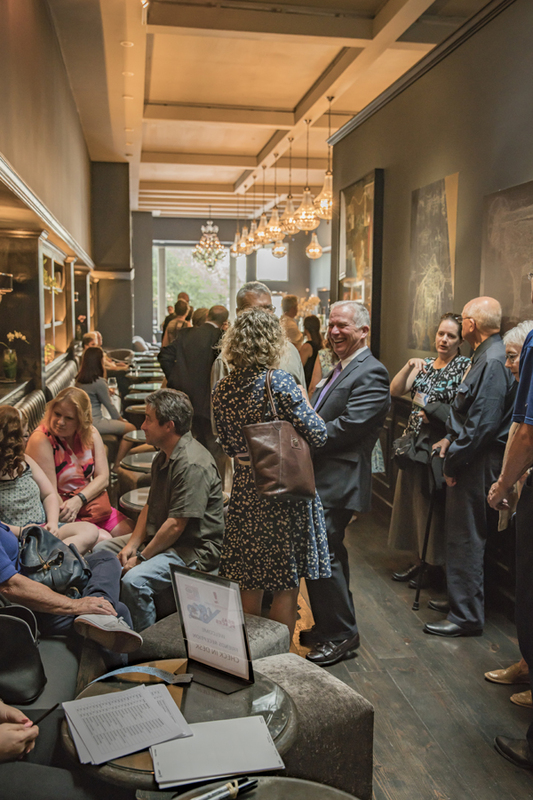 Housed in the 1875 Townsend-Thomson Building, a City of Austin Landmark, The Townsend was the perfect elegant setting for a mixer of historic preservationists. 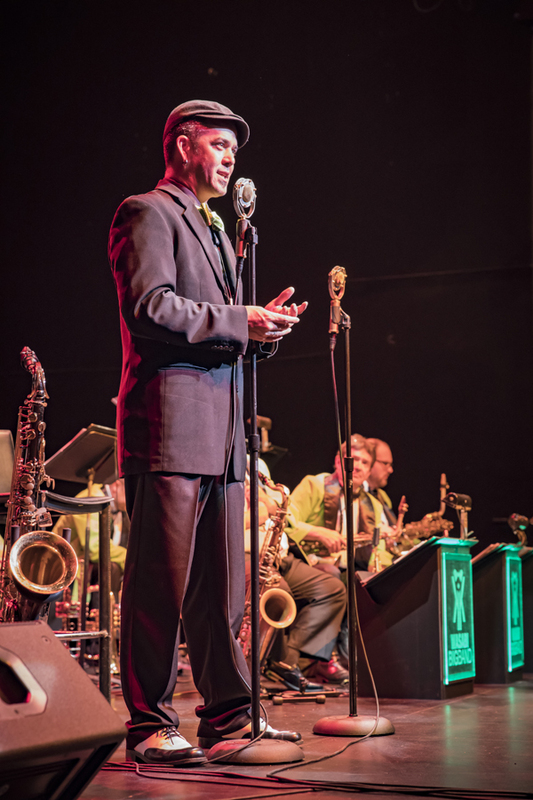 Later, the party moved across the street to the Stateside at the Paramount, a historic theater where Kris Kimura and his 10-piece Wasabi Big Band performed an inspiring set of jazz standards and shared stories about Texas jazz musicians and the history behind the songs. Day Two began with Lareatha Clay, chair of the Board of Trustees of the Friends of the Texas Historical Commission, presenting certificates to our 2016 Diversity Interns, Victor Hurtado and Haian Abirahman. Dr. Barbara Brannon, executive director of the Texas Plains Trail Region, followed with an interesting presentation about the history of the Texas Heritage Trail Regions. 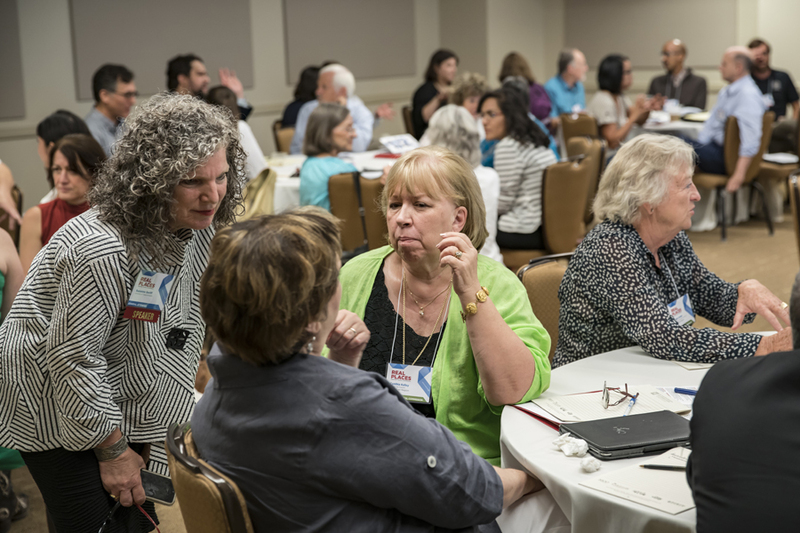 The breakout sessions that followed were the first time I was faced with a choice of what to attend—which was tough because all the content looked compelling. I went with part one of the two-session “Honoring the Past: Interpreting Sensitive Stories,” in which Dr. Suzanne Serif of UT Austin and Dr. Martha Norkunas of Middle Tennessee State University shared strategies for addressing difficult community histories, such as slavery, racism, sexism, classism, and other sensitive issues associated with a place. Next, I attended “Hidden History: Building Tourism Experience Where the Past is No Longer Evident.” In this session, John Akers of our Eisenhower Birthplace State Historic Site spoke about interpreting the “lost neighborhood” that once surround the site in Denison; Mickie Ross of the Williamson Museum talked about pioneer and western heritage in Williamson County; and Anthony Souther and Rachel Galan of our Caddo Mounds State Historic Site presented on sharing Caddo stories and the upcoming reconstruction of a Caddo grass house. The entire conference reconvened for a fantastic lunch session attended by Gov. 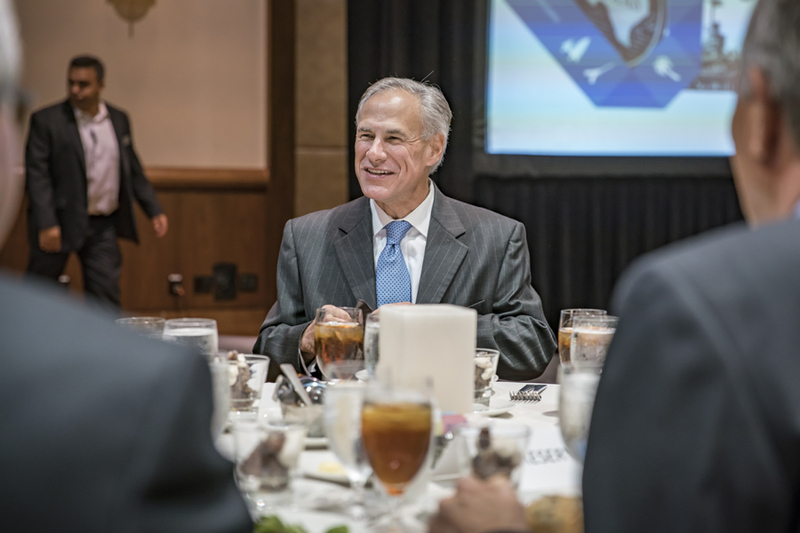 Gregg Abbott, who was introduced by THC Chairman John L. Nau III. 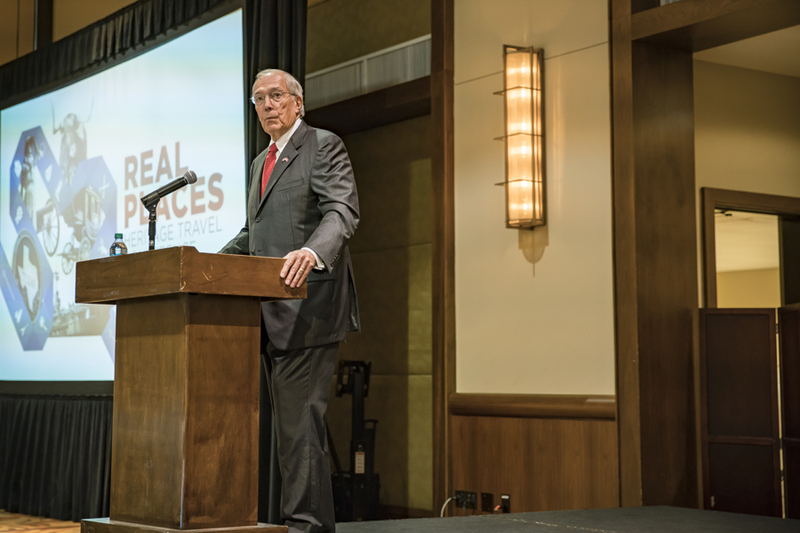 Abbott shared his support of historic preservation in Texas, spoke about the economic impact of heritage tourism, and recognized the leadership of the Texas Heritage Trail Regions. Next, our Courthouse Stewardship Award was presented to Potter County for maintenance of the 1932 Potter County Courthouse in Amarillo, which was restored as part of our Texas Historic Courthouse Preservation Program. 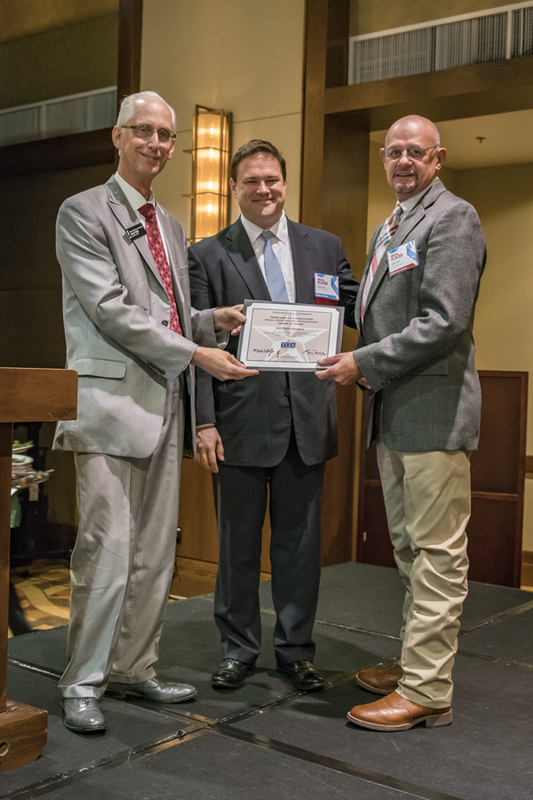 The award was accepted by Mike Head, director of Potter County’s Facility Maintenance Department, and presented by THC Executive Director Mark Wolfe and Aaron Day of the Texas Land Title Association—the generous sponsor of our Courthouse Stewardship Workshops and the award. This was followed by the entertaining and inspiring Jon Schallert, a destination business expert from Colorado who encouraged historic sites and museums to find and share the unique niche that makes them different from everywhere else in the world. 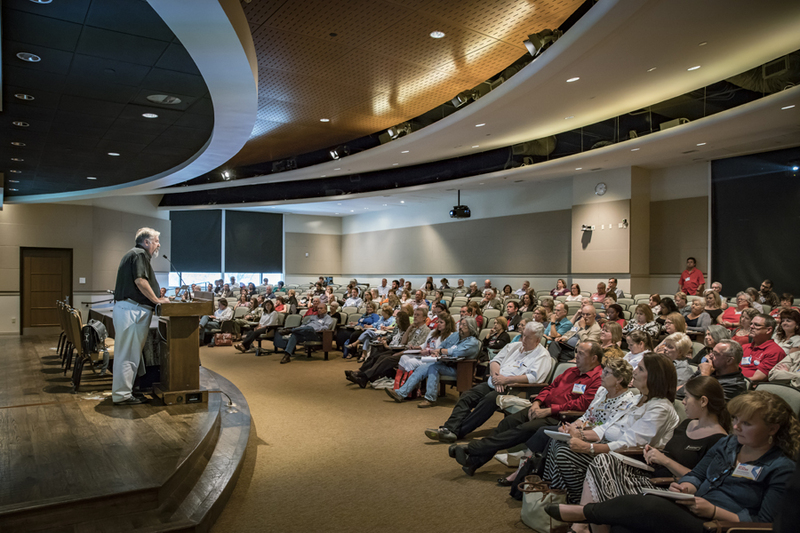 Next, the entire conference had the opportunity to hear food writer and restauranteur Robb Walsh speak with encyclopedic knowledge about Texas’ diverse cuisines, culinary tourism, agritourism, and food folkways. He challenged communities to find and share their culinary traditions, and shared success stories from food destinations across the state. During the breakout sessions that followed, I chose to torture my stomach by continuing with a similar theme. “Food Tourism Success Stories” was a panel session moderated by Robb Walsh. Presenters were Lareatha Clay speaking about the Purple Hull Pea Festival in Shankleville; Nano Calderon of our Casa Navarro State Historic Site discussing the research and cooking demos he’s done at the site based on historic Tejano recipes; Brandon Aniol of our Landmark Inn State Historic Site talking about the site’s historic kitchen and cooking classes; and Andrea Hance of the Texas Shrimp Association speaking about the Texas Shrimp Boil and Boat Tour in Brownsville. Needless to say, I walked away from that session starving, but fortunately didn’t have to wait long to experience more Texas food. An evening reception called “A Night on the Trails” was sponsored by the Texas Heritage Trail Regions and included a delicious Tex-Mex spread. 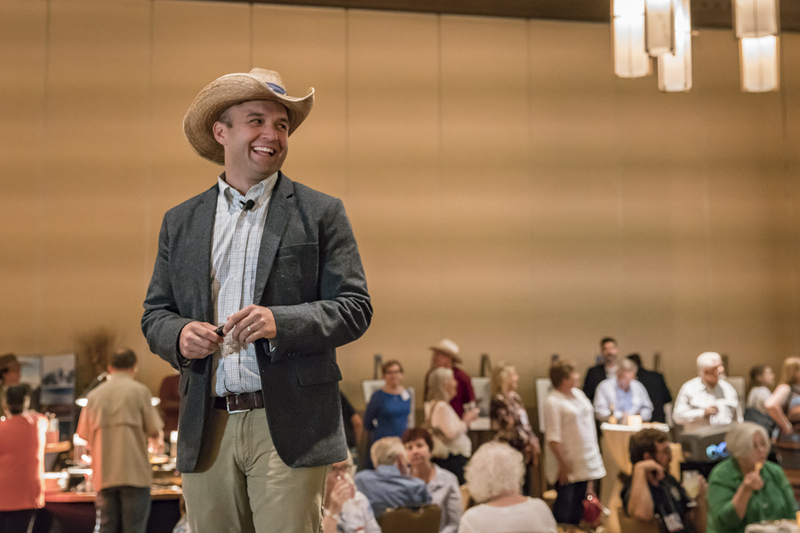 It also featured Chet Garner, aka The Daytripper, who presented his “can’t miss” cultural, historic, outdoor, and culinary picks in each of the 10 Texas Heritage Trails Regions. It was an extremely entertaining and thought-provoking tour of the grandness and diversity of the Lone Star State. 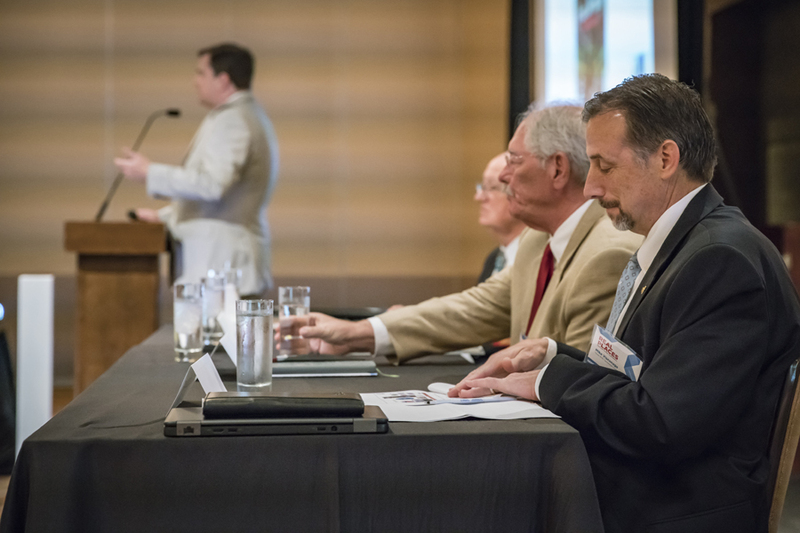 Day Three began with an engaging panel discussion about upcoming commemorations and anniversaries, including World War I and the Chisholm Trail. 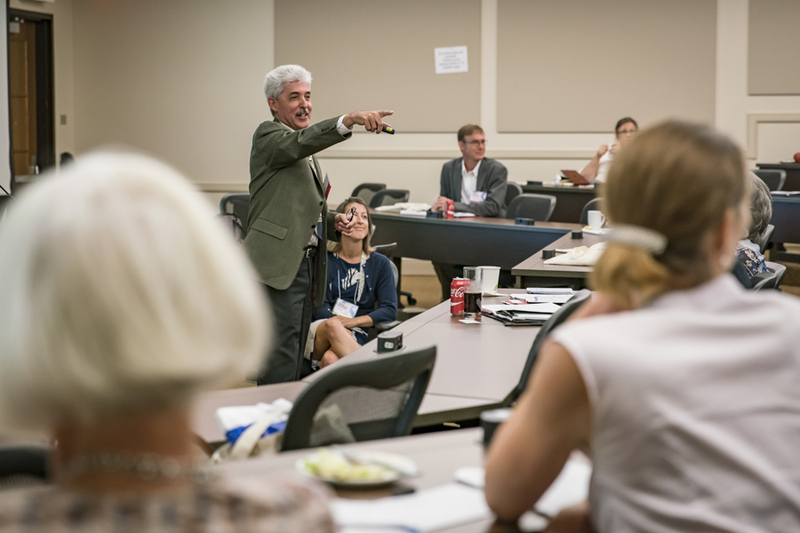 That was followed by more breakout sessions: CHC discussion groups, historic courthouse preservation sessions, and a tourism marketing workshop by Jon Schallert. 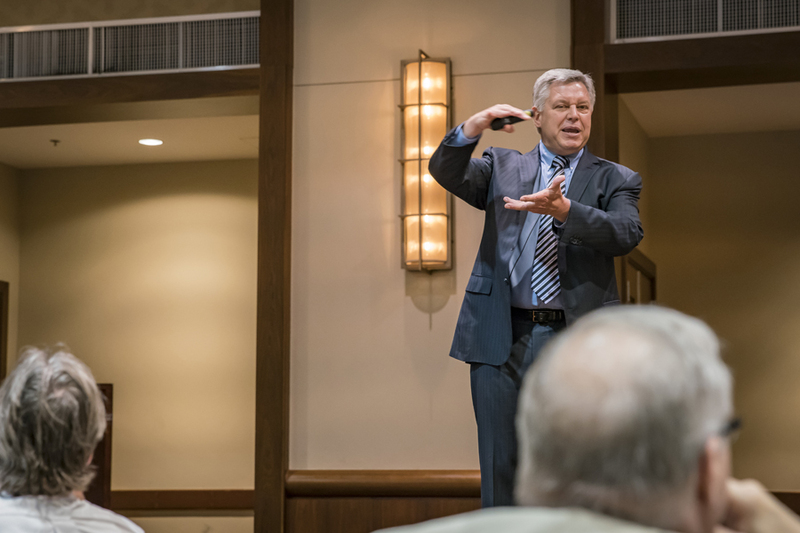 I attended the latter, which went beyond his keynote theme of “finding your niche” and deeper into his 14-point process for turning businesses or places into consumer destinations. 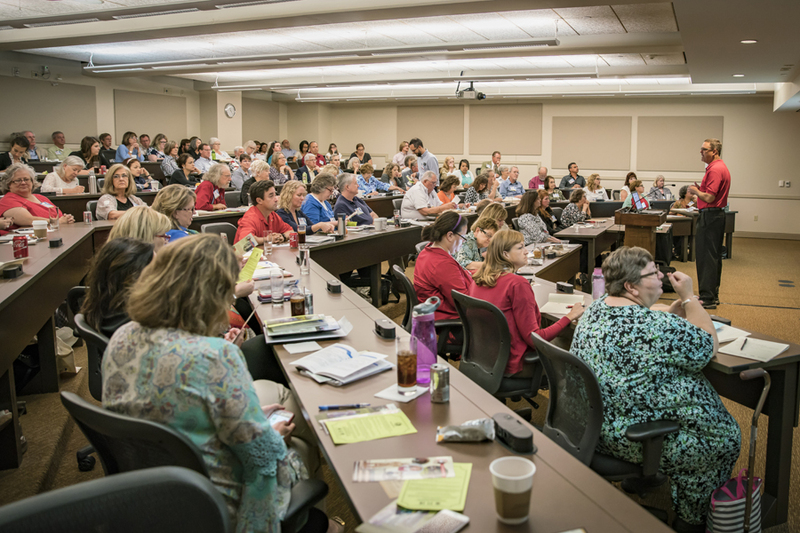 Much like the CHC training on Day One, afternoon programming on Day Three was a special track for attendees who registered for the Courthouse Stewardship Workshop. 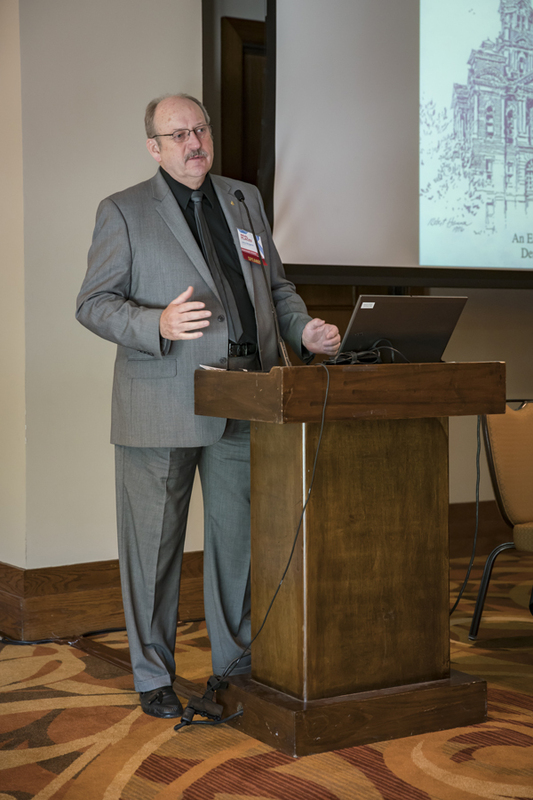 Jerry Berggren, an architect from Nebraska specializing in historic preservation, gave an intriguing luncheon keynote speech about courthouse preservation and maintenance issues, including many examples from throughout his career. He was followed by a great presentation by Ashley Robbins-Wilson of the National Trust for Historic Preservation, who spoke about the stewardship of the Trust’s 27 historic sites across the country. The next sessions went much deeper into specific maintenance challenges facing historic courthouses. 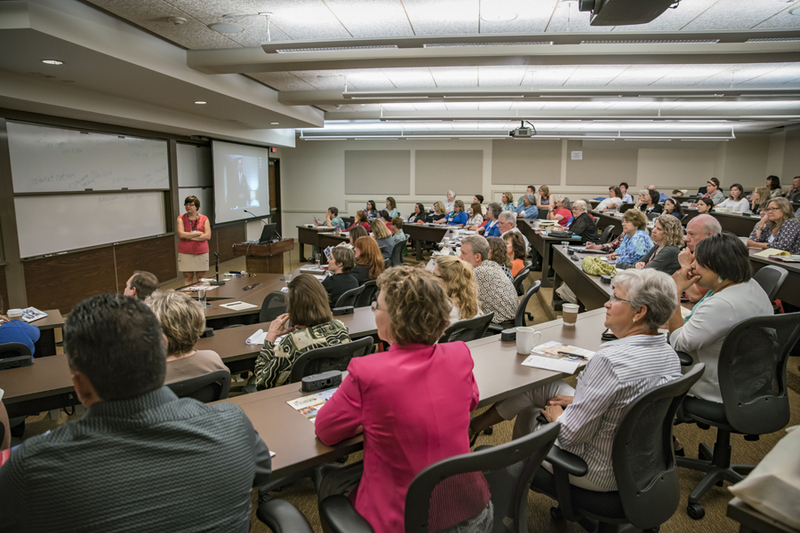 Thanks to all who attended our first-ever heritage travel conference! We think it was a rousing success, as we’ve had a lot of positive feedback from attendees. 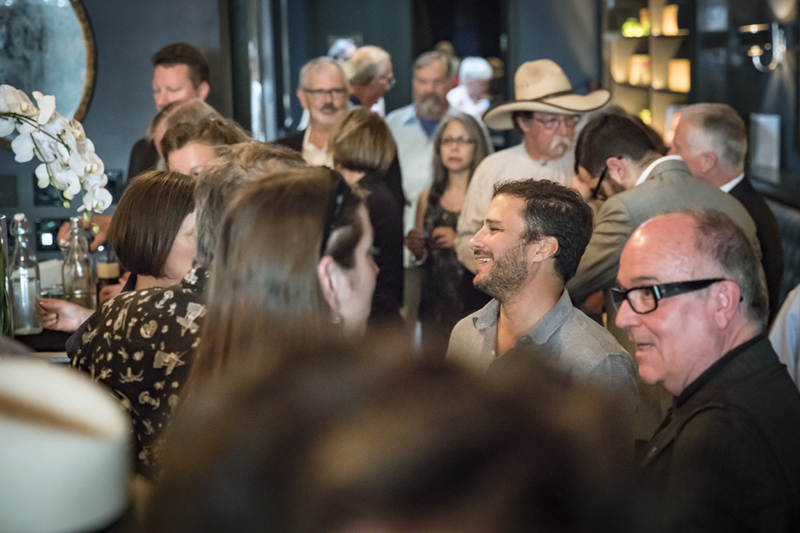 We also received this nice coverage from Austin360 about the opening reception. 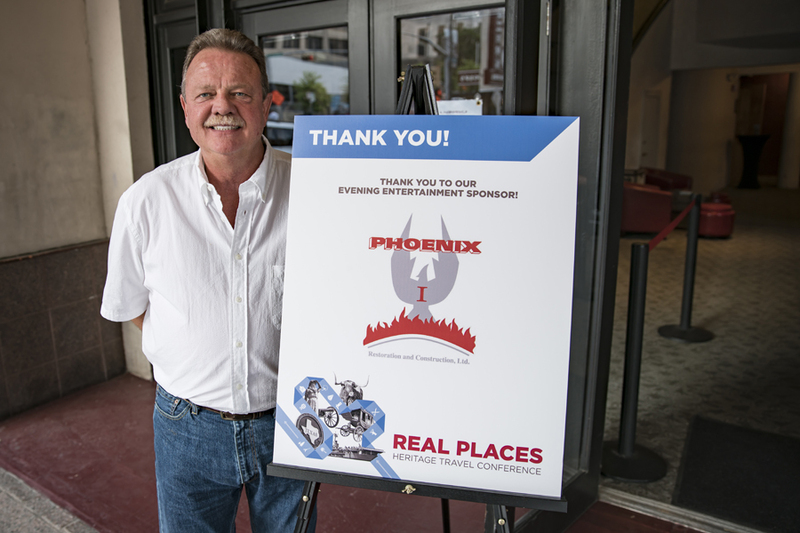 Special thanks to our partners in the Texas Heritage Trail Regions and Friends of the Texas Historical Commission for co-presenting the conference, to CMP Management for helping us pull it together, and to our generous sponsors Phoenix I Restoration and Construction, Silver Eagle Distributors, and ArchiTexas. 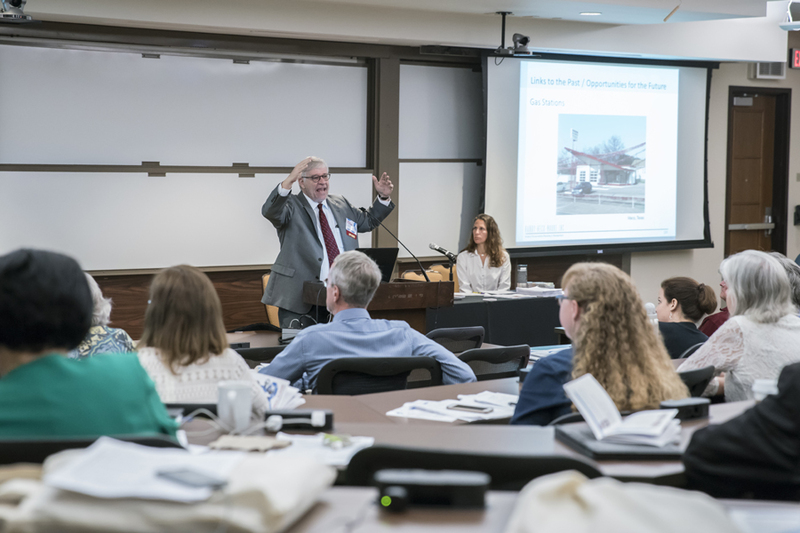 The Texas Department of Transportation and THC review staff partnered on a session about regulatory review for County Historical Commission members on Day One.